The species is found in Europe, Africa, South and Southeast Asia and Australia. Is probably monotypic, although the intraspecific taxonomy might be yet a subject of additional study. 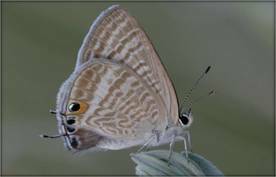 In Armenia the Long-tailed Blue is found in several spots in Northern, Central and South-western regions., where it inhabits scarce woodlands or glades and clearings of deciduous forests at the elevations from 1800 to 2200 m a.s.l. Among host plants used by the species the Colutea spp., Lathyrus spp., Glycyrrhiza spp., and some Astragalus spp. should be mentioned. The Long-tailed Blue gives one generation per year, having butterflies on wing during July, sometimes until early August. The species is rare within its typical habitat, but the population trend in 2003-2013 shows stability (p>0.05). It appears that ability of switching between various host-plants helps the species to survive among factors of intensive grazing. The species is not included in the Global and Armenian Red Lists, as well as in CITES and Bern Conventions, however is assessed for European Red Book as Least Concern. 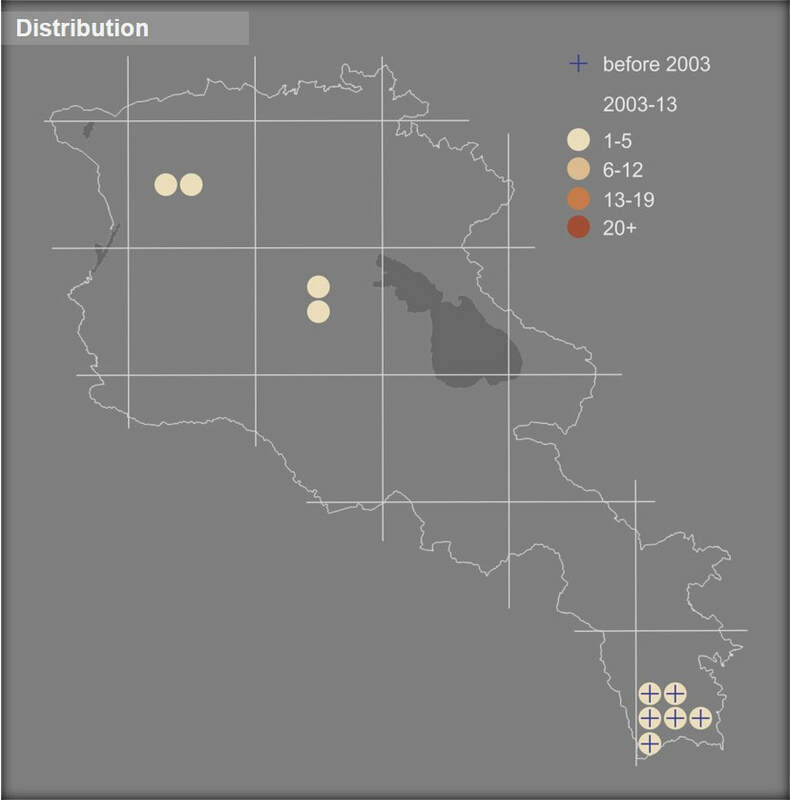 The same status that is proposed for Armenia, despite the fact of restricted distribution range, which is only partly covered by Zangezur Biosphere Complex, Emerald Site Arevik, and Prime Butterfly Areas Lichk and Gyumorats. As appears the species doesn't need development of special conservation measures, however its monitoring is important for early determination of changes in its population dynamics.